Established in 1990 and based in Atlanta, GA, we are a highly diversified general contracting company offering services to a variety of markets. Over the years our clients, including rental property owners, property management companies, government institutions and condominium associations have come to expect excellence from Djonis Construction Company, LLC. Our reputation of delivering a superior work product at a fair price and in a timely manner accounts for the growth of our business through on-going customer referrals. Our expertise ranges from light remodeling tasks to projects well in excess of 2 million dollars. 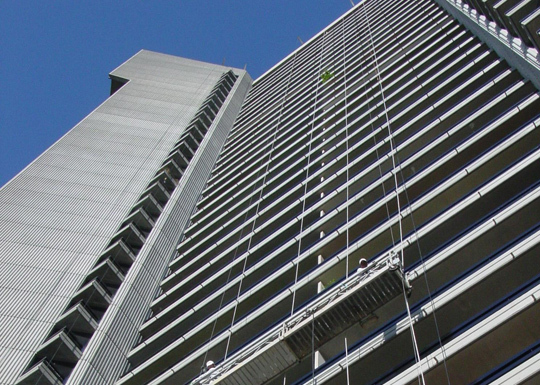 We offer the resources and experience to handle a multitude of construction projects. "Djonis Construction Company did the work in a professional manner and was sensitive to the owners needs." "Djonis Construction Company completed our rehabilitation project on time while demonstrating sincere standards of integrity and honesty."